I have heard good words of the cakes at The Fabulous Baker Boy, opened by theater star turned chef, Juwanda Hassim. Besides the fabulous cakes and brunch, The Fabulous Baker Boy has introduced a new dinner ala carte menu to give patrons more variety and value to their dollars. The dinner at The Fabulous Baker Boy started with the Scottish Smoked Salmon Salad ($16/$20). 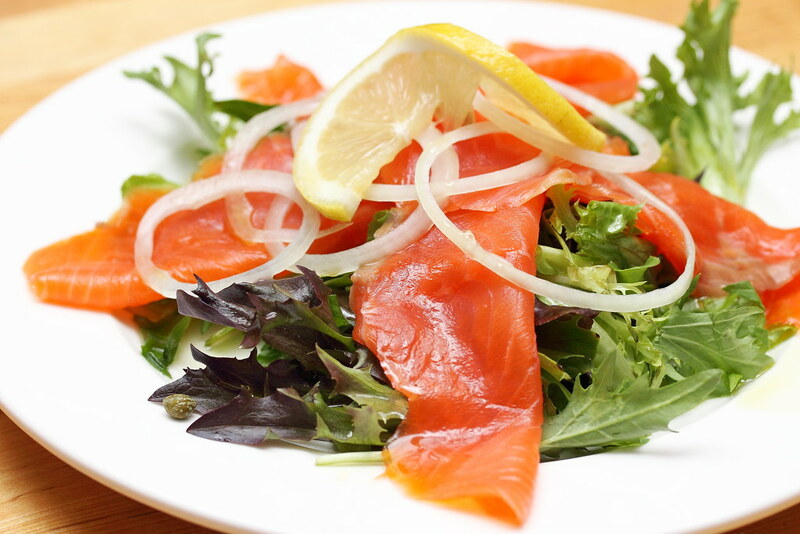 Slices of smoked salmon lie on a bed of mesclun salad, topped with capers and thin onion silvers. I did like the tangy zest of the refreshing calamansi vinaigrette that removed the earthy taste of the greens. Another salad dish on the menu is the Wild Mushroom Salad ($14/$18). 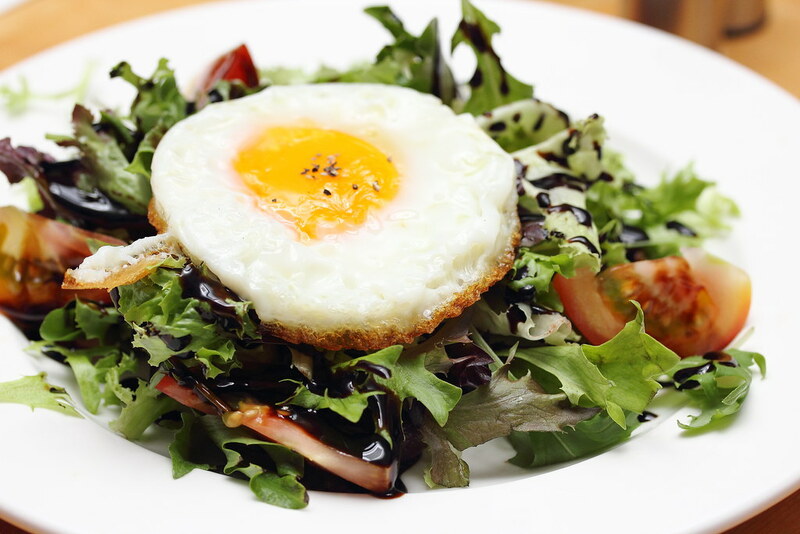 Drizzled with aged balsamic dressing, the salad comes with sauteed wild mushrooms glazed over with thyme butter and a sunny side up egg. I only hope there were more mushrooms as they were missing from the plate. 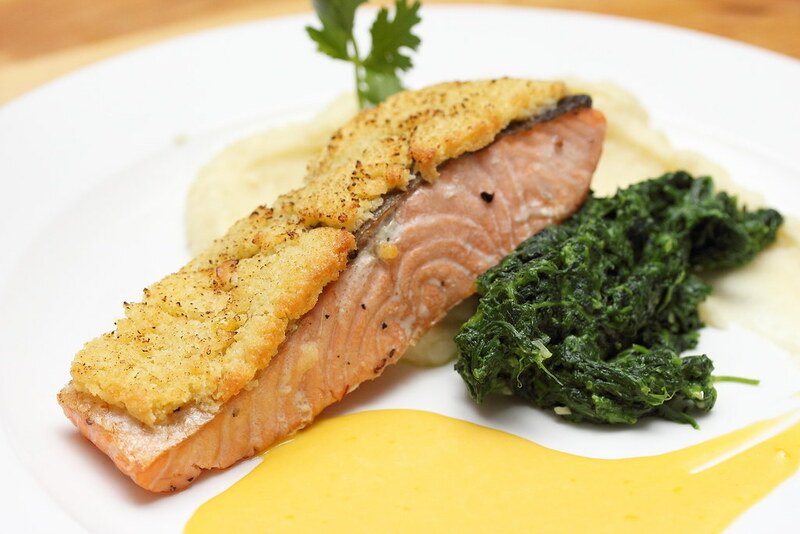 A classic dish is the Almond Encrusted Salmon with Mango Hollandaise ($22). A decent baked salmon dish with crusty top, served with buttery mashed potatoes and creamed spinach. Some fine tuning is required for the Fish Burger ($14.50). 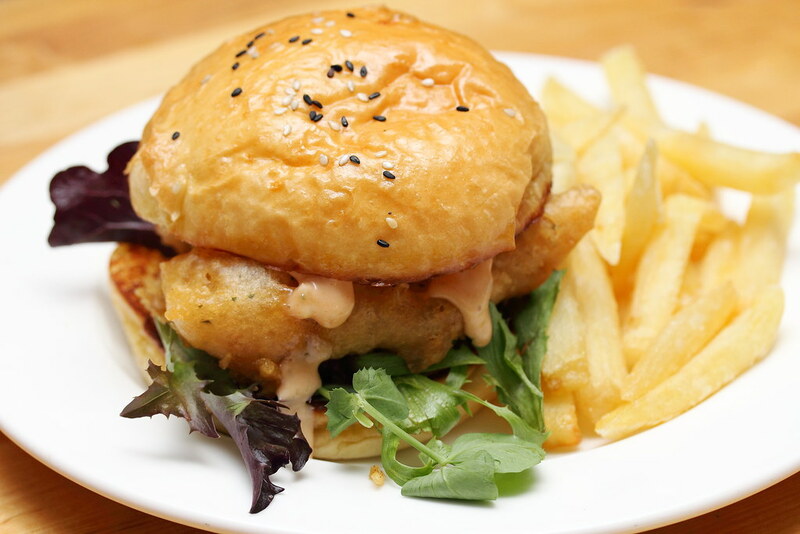 While the execution managed to retain the juicy dory fillet underneath the crispy batter coat, the burger needs a much better boost in flavour. Another disappointment is the lacklustre fries. It was so bad that it was left untouched. Finally there is a dish on the new dining menu that managed to wow me but momentary. 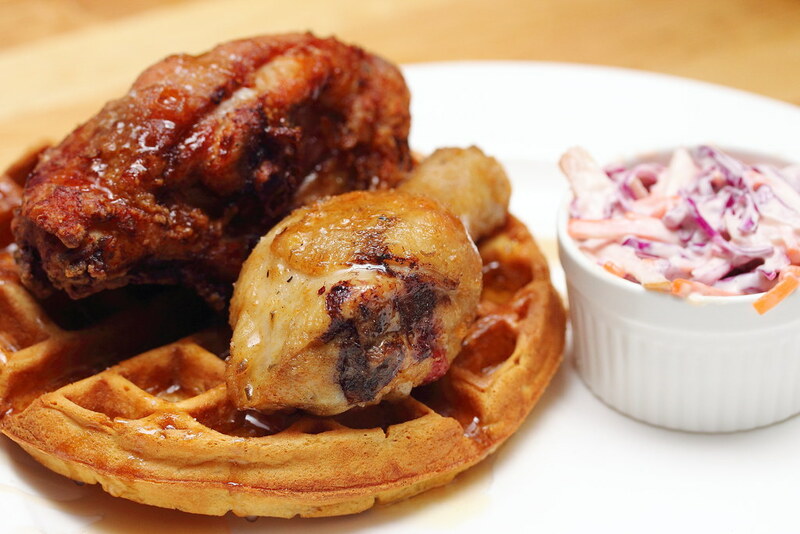 The Fried Chicken & Waffles ($21) comes with deep fried butter milk chicken served on waffles and golden syrup accompanied with a servicing of pear and cabbage slaw. It comes with a choice of either original or spicy. Unfortunately the southern american staple is not the most tender and juicy chicken I have eaten. But the worst part is the waffle. It is as hard as a brick. Seriously they need to do something about it. 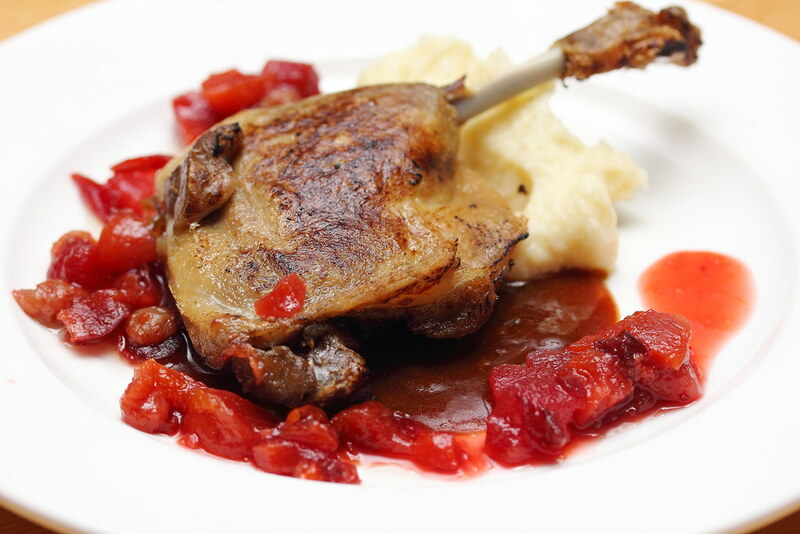 A far better rendition goes to the Duck Confit ($21) where the whole leg of duck is cooked to juicy tenderness paired with cranberry plum compote and mash. The skin however could have been more crispy. Lastly we tried the Steak Frite ($25) on the mains menu. 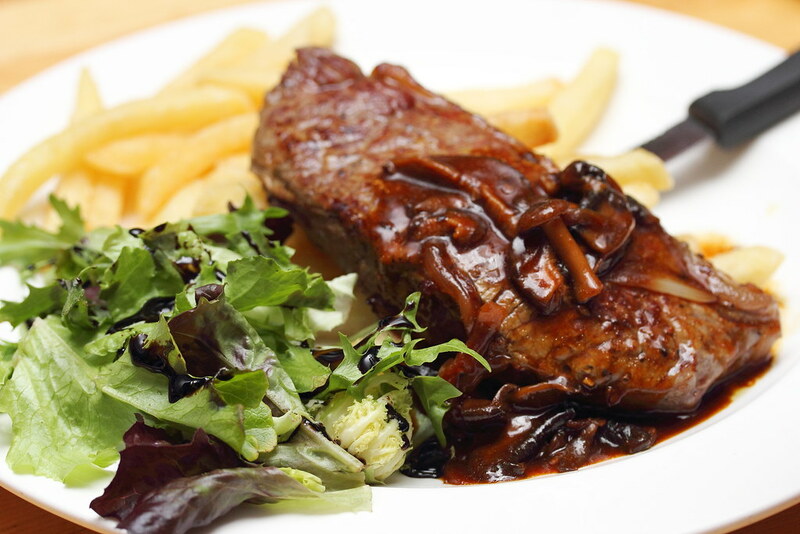 The piece of New Zealand grass fed sirloin was rather flat in flavour dressed with mushrooms and caramelised onions. The fries was the other disappointment just like the those from the fish burger. Saving the best to the last, this was so truth for the dining experience at The Fabulous Baker Boy. 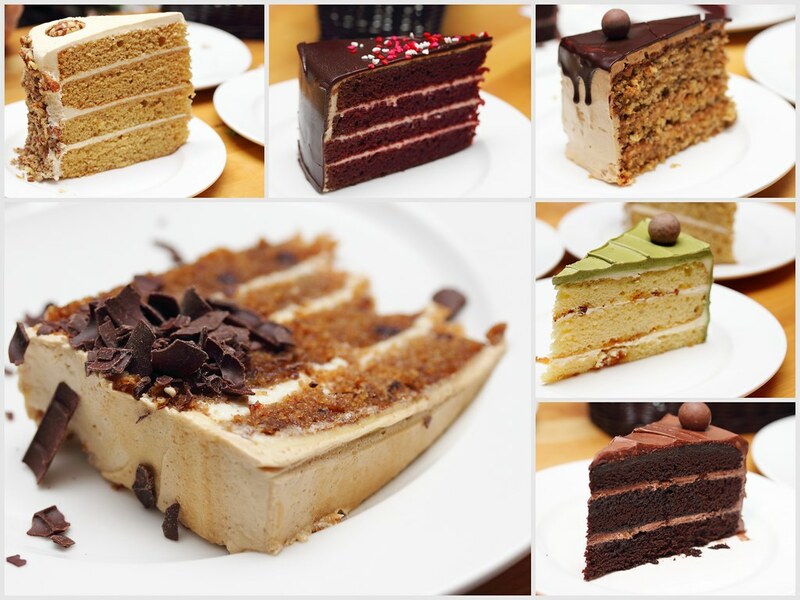 Indeed their famed cakes made some form of rendition to the not so interesting diner menu. Juwanda even created a new cake, Pam Dor to honor his good friend, muse and inspiration, the talented Pamela Oei. Among the few cakes I tried, my favourite went to Nutty Monkey and new diva cake, Pam Dor. Sad to say, the dinner menu still has a lot of work to be done. It was too pedestrian and in a way old school that did not deliver a wow factor. In this competitive food industry, there are many good cafes out there servicing much better and more creative dishes on their menu. Judging from the dinner menu, The Fabulous Baker Boy will have a tough time attracting the crowd especially when they are spoilt of choices. Saying that, their cakes and brunch are still up to the mark.